​Add your picture, manage linked accounts, language and more. Give your account a personal touch by adding a profile picture, set your language and manage linked accounts you use to sign in. To find this, from the account home page dashboard, click on your name at the top right corner, then click on Settings. Once in the account Settings, you'll find Your Profile, on the left menu. Available languages for the account are English and Spanish. 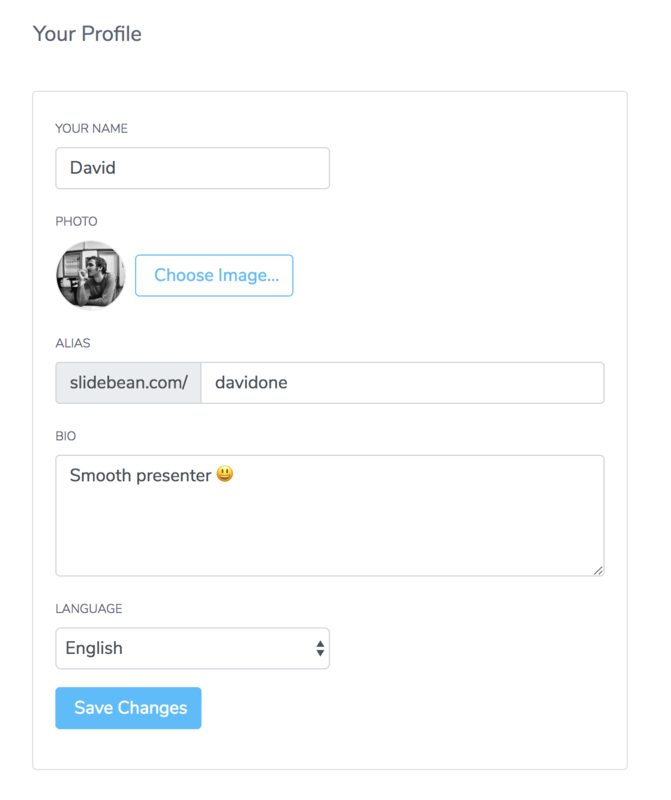 From here, you can also manage the accounts you link in order to sign into Slidebean, including: Facebook, Google, Slack, LinkedIn and Twitter.